Data in the New Mexico Produced Water Quality Database v.2 was updated in 2016 for the first time in many years. Data should be used for general informational purposes only. The uncertainties in data collection procedures, analysis quality and specific sample sources make it unsuitable as basis for any significant business or policy decisions. 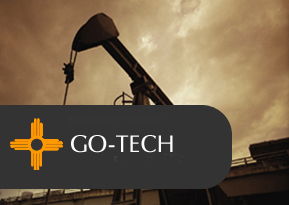 Data was gathered from many sources and about 5400 distinct wells in NM are represented. More data exists for most samples than is provided by the results screen; the downloadable spreadsheet contains more information including field, formation, sample source (where available), and latitude/longitude. Funding for the database was provided by the U.S. DOE, various New Mexico State agencies, NMT, and WRRI. Too many or not enough results? Change your search criteria and press the Submit button to improve results.